← How Do Others See Us? What happens outside the voting booth matters, too. Last week’s municipal elections boasted a turnout that was unremarkable for its dismal size. Elgin’s Kane County side saw 11.8% turnout, while on the Cook County side, only 6.5% of registered voters cast ballots. In a city of more than 108,000 residents, this means that 5,744 citizens voted. Not everyone will vote, of course. Some don’t feel comfortable with the process, or think their vote won’t make a difference. Others aren’t connected in the daily politics of our town. And that’s ok. There are other ways to be involved. The Downtown Neighborhood Association is hosting another Downtown Brainstorm on April 30. Attendees can share their opinions on the types of businesses they’d like to see and recruitment ideas. What do you want to see in your downtown? Not every town offers a chance for such a discussion – it’s one of the advantages of our nearly-blank slate. The 2011 session proved very interesting – especially looking at the changes in the past 18 months. The event is free and open to everyone – just RSVP by April 26. 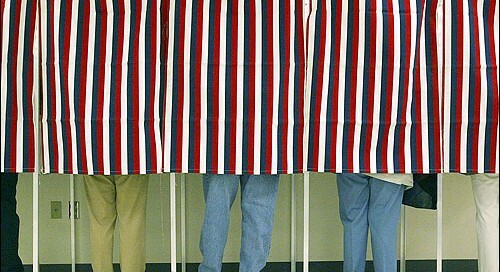 Just because voter turnout is low doesn’t mean we’re not civically engaged. Many of our residents do care deeply about Elgin’s future, and events like the Downtown Brainstorm tend to surface their passions. Voting is important – and as a policy geek, I love the process and the politics – but day-to-day involvement and investing time in strategic planning are even more vital.